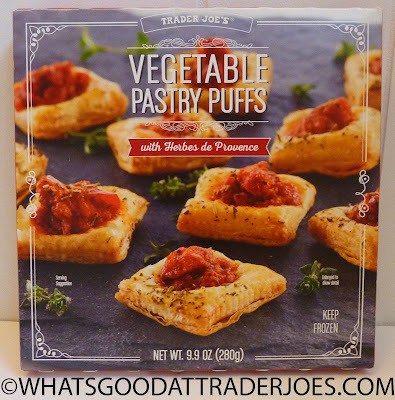 For a moment, Sonia and I were thinking that this product came without the funky red tapenade-esque substance you see on top of the pastries, since the packaging plainly states "serving suggestion." The last time we encountered that little trick, there was no sauce included. 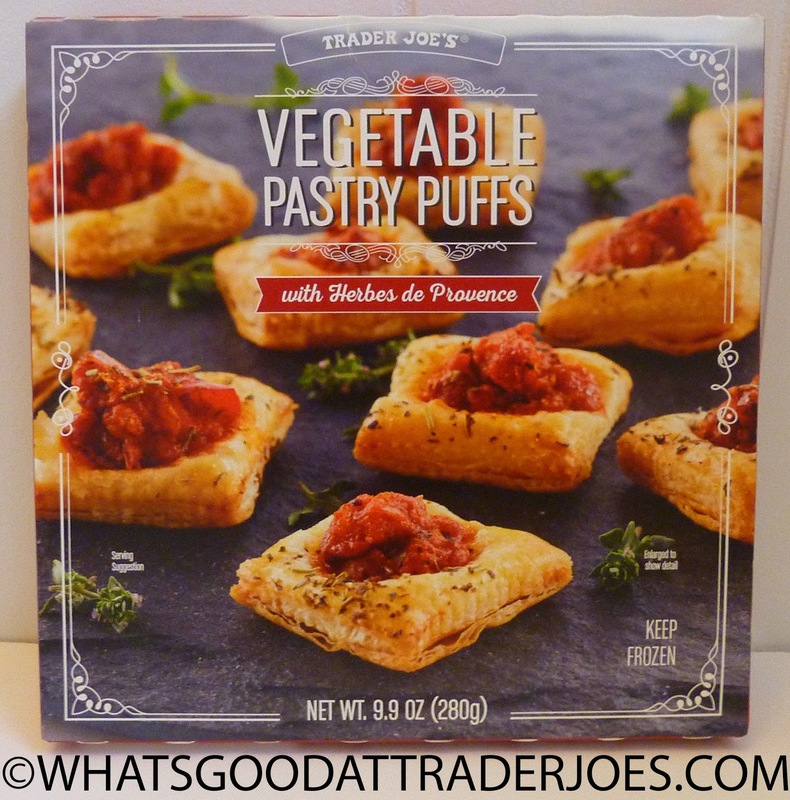 But these puffs did indeed come crowned with what is apparently "herbes de provence." Ours didn't puff up quite as much as the ones on the cover art, and they came out significantly more greasy than what we were expecting, but they were still moderately enjoyable nonetheless. The breading was soft and moist, and the topping was like a thick pasta sauce flavored with sun-dried tomatoes and herbs—French herbs, apparently. The squares were quite small, but there's a 5 x 5 grid in the pack, for a total of 25 of them. The herbes de provence would just be the herbs on the pastry, not the vegetables on top.